Now don’t get me wrong, I’m a fan of Dad’s Army and admire the writing, the nuanced observations on absurdity and perfectly timed comedy. It is so successful because we all know characters like Captain Mainwaring and Sergeant Wilson. I was brought up with the common belief that the British Army had been defeated in France, had been lucky to escape due to British selflessness and ingenuity. That these shores were vulnerable to attack from the German National Socialist war machine, that the troops were disorganised, dispirited and had lost all their tanks and heavy weapons. The Royal Navy was overstretched trying to keep open the sea lanes across the Atlantic and to our far-flung empire. The Local Defence Force, later called the Home Guard, was a bunch of fuddy-duddies and old Blimps from the Boer War and the Great War, armed only with shotguns and pickaxe handles. We all know that the Germans needed air superiority to attack Southern England and the RAF was heavily outnumbered. The Luftwaffe had swept the skies of the RAF and Armée de l’Air in France and Belgium, but despite this, the heroic fighter pilots of RAF Fighter Command proved their superiority and saved Britain in their finest hour. I am in no way disparaging the brave pilots of No 11 and 10 Group Fighter Command, but this is a rather a simplistic view of what was a very complex situation with many subtle interdependencies. o Hitler conquered Poland. There was no other major activity. o The Nazis conquered Denmark, Norway, Holland, Belgium and France. o The British Expeditionary Force (BEF) was trapped at Dunkirk, but managed to withdraw by sea back to Britain. o Britain defeated the German Airforce, called the Luftwaffe, in the Battle of Britain (July‒September 1940). o The Luftwaffe bombed London for 76 nights running (the Blitz), then other cities such as Coventry. o The British were driven out of Greece and most of North Africa. o The British ran out of money, and had to sign the Lend-Lease Agreement with America (America sold arms to Britain, to be paid back after the war). o In June 1941, Hitler invaded Russia, known as Operation Barbarossa. This brought Russia into the war. The failure of Operation Barbarossa was the first major German defeat. o In December 1941, the Japanese bombed Pearl Harbor. This brought America into the war. o In June 1942 the Americans defeated the Japanese at the Battle of Midway. o In November 1942 the British won the Battle of El-Alamein in Africa. o In January 1943 the Russians defeated the Nazis at the Battle of Stalingrad. o In 1944, the Nazis launched V-1 rockets, known as doodlebugs, which fell randomly in southern Britain. Notice that there is no mention of German/Soviet Pact or the Soviet invasion of Poland, The Soviet/Finnish War, the War for Oil in Iraq, Stalingrad and Kursk, the Arctic Convoys, the Battle of the Atlantic, the Fall of Singapore, The War in Burma, the Strategic Bomber Offensive, the D-Day landings, the German Nuclear Programme and the Final Solution. Personally, I believe that History is as important as English and Mathematics and if it is taught badly or simplistically to pass some exams, then it is better not being taught at all. So just how unprepared was Britain for a German invasion? Operational map of the German assembly areas and routes to South-eastern landing sites. There may be some truth in this view. Very little has been found in the way of planning documentation for Operation Sealion (the invasion of Britain), compared with the plethora of archived maps and plans relating to Operation Overlord, (the D-Day Landings). This may be due to the bombing, the systematic destruction, hiding and looting of German archives towards the end of the war, when they knew the game was up and they were desperate to cover their tracks. German troops from Norway to France were on high alert throughout August and September of 1940. Ammunition and supplies had been stockpiled in the Forward Mounting Bases along the coastlines of Western Europe. The Divisional staff had been given their mission and objectives and as true proponents of Mission Command, the German Staff Officers went ahead and planned. That summer the Kriegsmarine had gathered in Belgium and French ports over 100 freighters, paddle steamers and ferries, 1,910 barges, 419 tugs and 1,600 motor boats. 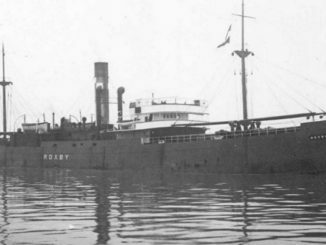 Since the German war effort has heavily dependent on moving war materials on the inland waterways, the requisition of so many vessels was a serious undertaking and it hadn’t gone unnoticed. While the Hurricanes and Spitfires of Fighter Command carved vapour trails above the Kent Weald, the Wellingtons, Hampdens and Blenheims of Bomber Command doggedly attacked the build-up of vessels in the ports, in the face of murderous flak. But the Germans never came. They never achieved air superiority over the south of England, but they could still have achieved local air superiority or a favourable air situation in which to mount their assault. The Few have carved their niche in history, but the victory belongs to every man and woman of fighting age in these islands, the scientists, the planners, the Intelligence Services and the fleet in being. The Army may have been evacuated from Dunkirk and other French ports, but it maintained its cohesion and fighting spirit, and the soldiers would sell their lives dearly. Within the context of Britain in 1940, Operation Sealion was a viable and deadly undertaking and neither side was taking it lightly.